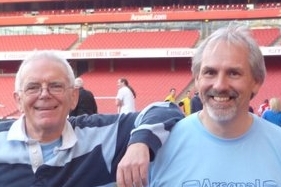 The following articles were written at the time by Gf60 as part of his regular review of all things Arsenal and reprinted with kind permission. At last, TDD is some 72 hours past; the rumour mill is done for five minutes at least and we can realistically see what’s what in the circus that is Arsenal at the moment. Cesc, Nasri, Clichy, Cruise, Randall, Deacon, Sheay, Botelho, Lansbury, Denilson, Bendtner, Eboue, Sunu, Vela, JET, Traore (16) More than a fair ration of coasters in that lot…but an awful lot of skill as well. So is it good, bad or indifferent? Will it give us a fighting chance for honours? Surely it can’t be worse than it was? We’ve sold more than we bought; none bought admittedly up to Cesc’s level but Arteta and Benayoun if they stay out of the treatment room are both useful; Vinho looks useful and Mertesacker was on our shopping list after the world cup. Pity we waited so bloody long. Other than you-tube highlights, always a joke, can’t say I know anything really about the others…but it was interesting that the epitome of fair Arsenal reporting, Sky Sports, should use a video clip of Santos using his elbow. How many though of the non-hungry eyes are left? Those that if we’re honest with ourselves, really we could also have done without… Squelch; Chamakh; AA; are still on the pay-roll. JD and Theo both need the hair-dryer treatment on far too many occasions and Tomas R is squad at best. Did we miss out on some great opportunities? Probably… we’ll never know why we can’t do our business as quickly as Fergie, but just possibly penny pinching and/or wasting time trying to keep players may have cost us dearly. Or not. Personally, if we were going to have a raid on Everton I would have gone for Baines and Fellaini as well as Arteta. Come to that, watching Scott Parker last night for England, I’m a bit sorry we didn’t go for him. Hopefully, these changes will reverse the relegation form we’ve shown since last February… that would not be a way to celebrate our 125th season. Not far off Arseblogger… it was insanity from Vorm, deflected off Angel Rangel’s heel, well finished by AA and happened in the last few minutes of the first half. But who gives a continental? Maybe for the first time in living memory, it was our keeper who was close to MOM, not the opposition’s; we had very good luck and there was not really one important reffing decision against us. Oh. And no-one was sent off! That has to be some sort of bliss. Débutantes all over the place, returns from suspension and injury, some players actually looking like they wanted to play…it could have been a real happy day. Bit of a pity that overall, it was a fairly crappy performance. Work in progress possibly sums it up. Plus Swansea were a lot better than expected in midfield and defence. After a positive start from us, where lots of goals looked on the cards, Swansea settled down and bar Robin, yet again, hitting the woodwork, kept us quiet. Fortunately they also struggle for goals and wasted their opportunities. As AW said after the match, confidence comes slowly, goes quickly. We have a great deal of building to do.